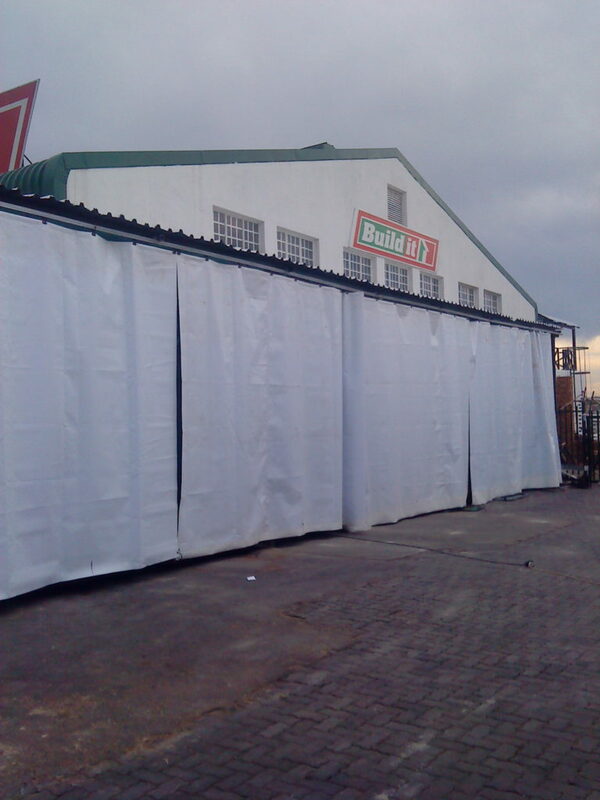 We manufacture chicken run, pig pen and retractable store room curtains to any length and drop using a recycled 500g polyester scrim reinforced PVC for entry level or domestic applications or 550g and 700g polyester scrim reinforced PVC for commercial operations. These are manufactured with stainless steel eyelets on the top and bottom seam to accommodate steel cables to raise and lower the curtains. The bottom seam being large enough to accommodate a 50mm steel pipe.